Meet Bliss, Cartoon Network’s 4th Powerpuff girl and the long-lost older sister to Blossom, Bubbles, and Buttercup! Bliss has returned to Townsville to learn the true strength of her incredible powers – which include flight, teleportation, telekinesis and super strength! This follows her Asia reveal via Facebook Live yesterday. 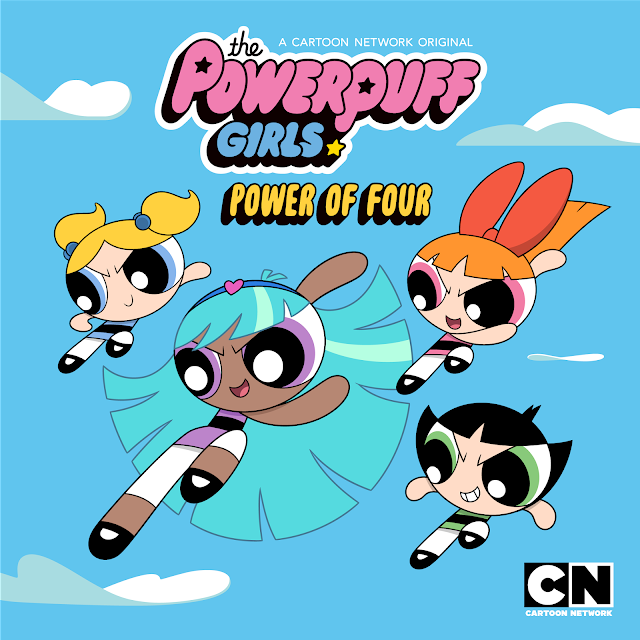 Bliss makes her on-screen debut on Cartoon Network (Astro Channel 616) in the five-part special event, The Powerpuff Girls: Power of Four over the next weekend. The first three episodes premiere at 11:30am on Saturday, 23 September followed by the final two episodes at 11:30am on Sunday 24 September. Long before he created Blossom, Bubbles and Buttercup, Professor Utonium created a little girl named Bliss who embodied all of the same traits: she was smart, sweet and incredibly powerful. After a mysterious disappearance, she hasn't been seen by anyone for years. Now, as a teenager, Bliss has returned to discover she has three incredible superhero sisters! Stronger together and reunited as a family at last, the four Powerpuff Girls work together and use their powers to save the day – before bedtime. Cartoon Network is available in Malaysia on Astro Channel 616.